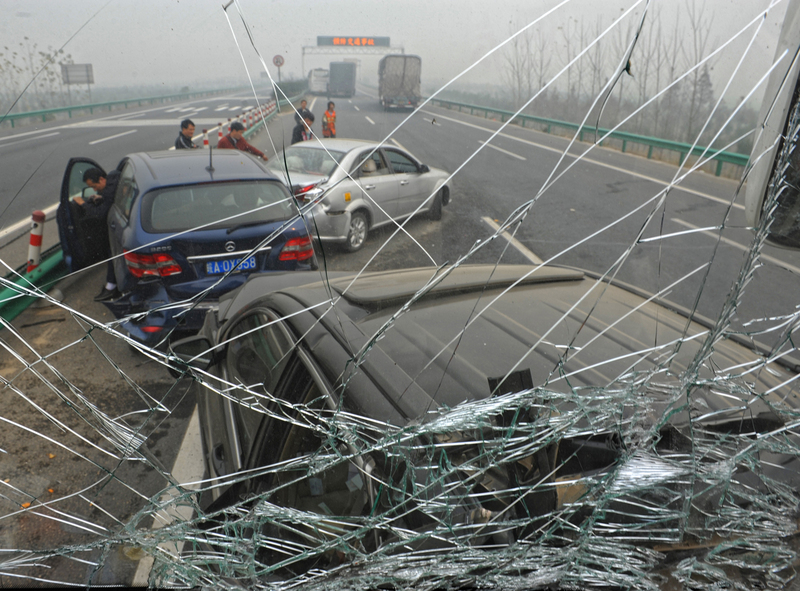 A traffic accident on the Hefei-Liuan Freeway in Hefei, Anhui province, November 28, 2011. That is what Benjamin Liebman, the director of the Center for Chinese Legal Studies at Columbia University, concluded after his extensive review of laws relating to traffic violations in Hubei Province. Geoffrey Sant, a partner at the law firm Dorsey & Whitney, notes that traffic accidents in China are substantially more fatal than traffic accidents in the U.S. While the U.S. only sees about one death per 70 traffic accidents, China sees one death per four accidents. Whether it be the explosion of car ownership and road infrastructure (new drivers in new places), more drunk and reckless driving, an expectation that traffic laws (such as stopping at red lights even when no one is coming) are “optional,” or a variety of other factors, Chinese roads can be dangerous. There are also some quirks in the legal system that create perverse incentives, leading to some pretty extreme cases. For example, as Geoffrey detailed in an article on Slate, more than a few videos have surfaced of drivers intentionally running over or otherwise killing people they have injured on the road. The reason for this? In China, the liability payout for an accidental traffic death is a small fraction of what you have to pay out if you cripple someone for years. The way that courts deal with these extreme cases, as well as more routine traffic tort cases, reveals a lot about the function of courts in Chinese society. That is what Geoffrey and Ben argue and discuss in this live Sinica Podcast, recorded on February 26 at the offices of Dorsey & Whitney in New York.